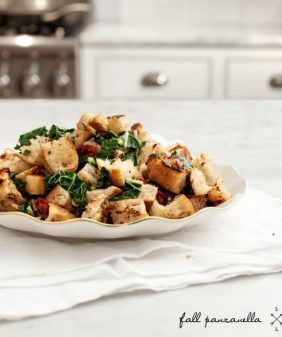 I love eating this spiced cauliflower salad at the holidays. 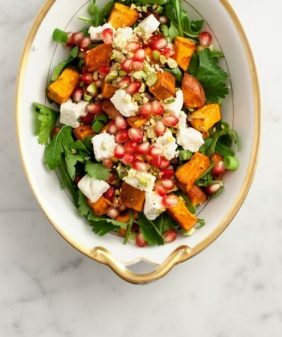 It's filled with juicy pomegranates, crunchy hazelnuts, fresh parsley, and crisp celery. As I mentioned a few weeks ago, I’ve been anxiously awaiting the US release of Ottolenghi’s newest book, Jerusalem… So I couldn’t have been more excited the day it showed up on my doorstep last week. 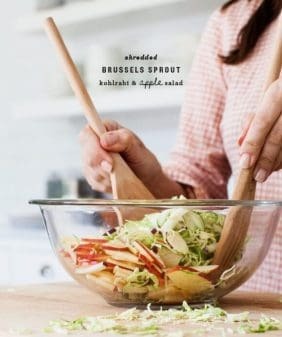 This time I fast-flipped, intently looking to see if this recipe would be included. On our last afternoon in London, we went to Ottolenghi’s Islington restaurant just prior to racing off to the airport. The wait for a table was too long and it was a (lucky) gorgeous sunny day, so we got piles of takeaway food and had a picnic in a nearby park. Which sounds picturesque… and really it was… only I wanted to try so many things, and we were incredibly short on time. In 20 minutes or less, we consumed pounds of food… a tomato and burrata salad, roasted beets, green beans & peas, kohlrabi slaw, a couple of sweet pistachio & polenta cakes… and this roasted cauliflower salad, which was our favorite. For a glimpse of the book, watch this trailer with Yotam and Sami, and start drooling. Or take a look at this pdf preview of the book which includes a few recipes. xoxo to Ten Speed Press for sending me an advance copy. From Jerusalem, by Yotam Ottolenghi and Sami Tamimi. The book comes out in the U.S. tomorrow, October 16th. Place the cauliflower on a parchment-lined baking sheet, drizzle with 1-3 tablespoons of olive oil, and toss with some salt and pepper. Roast in the oven for 25-35 minutes until parts of it are turning golden brown. Transfer to a large mixing bowl and set aside to cool down. Decrease the oven temperature to 325 F. Spread the hazelnuts on a baking sheet lined with parchment paper (I used the same one as the cauliflower, just switched the paper) and roast for 17 minutes (although depending on your oven, I suggest watching these closely, mine were burnt at 17 minutes, and I took my second try out around 10 minutes). In a small bowl, whisk together the remaining 2 tablespoons olive oil, the sherry vinegar, maple syrup, cinnamon, and allspice. Set aside. 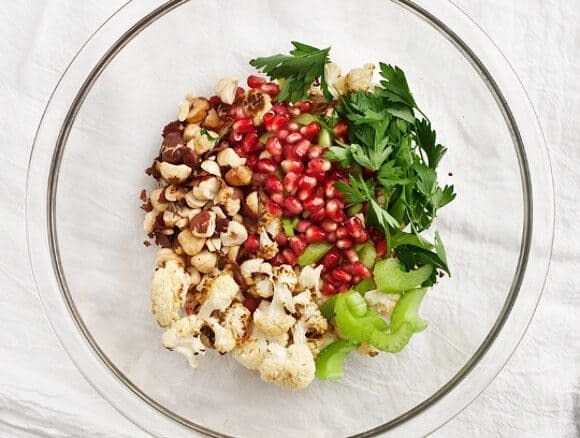 Allow the nuts to cool a little, then coarsely chop them and add to the cauliflower, along with the pomegranate seeds, celery, parsley, and the dressing. Stir, taste, and season with salt and pepper accordingly. 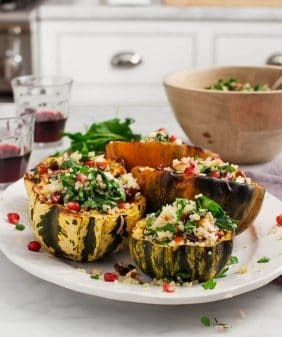 This looks like a perfect seasonal transition dish filled with all sorts of sweet and savory flavors, textures, and temperatures! 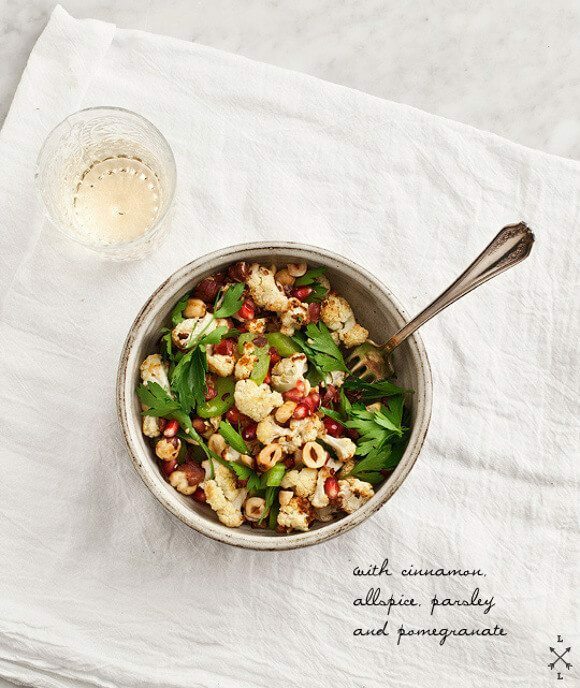 love cauliflower- this looks lovely. That salad looks so good! Cauliflower is so underrated, isn’t it? I can’t wait to get my hands on this book! Such lovely lovely flavours and textures in this salad. I adore roasted cauliflower. This is a definitely must-make! And soon! 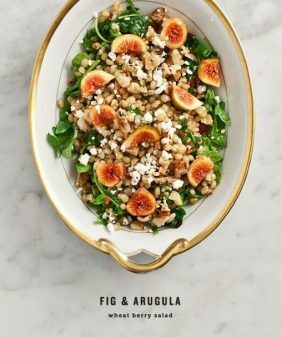 I just had a cauliflower salad and found it divine so I am totally excited to try this one too. And totally jealous you got the book early! Oh no! Something about a rushed picnic seems out of place…glad you were able to make this yourself and enjoy it (hopefully) at a less rushed pace. I can’t wait to get my hands on this book! 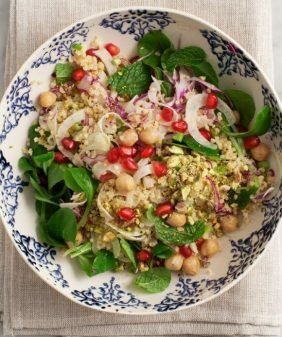 I love the addition of the pomegranate seeds with the cauliflower in this salad! The Ottolenghi cookbooks are amazing, I already have the others and can’t want to get Jerusalem. Gorgeous photos! 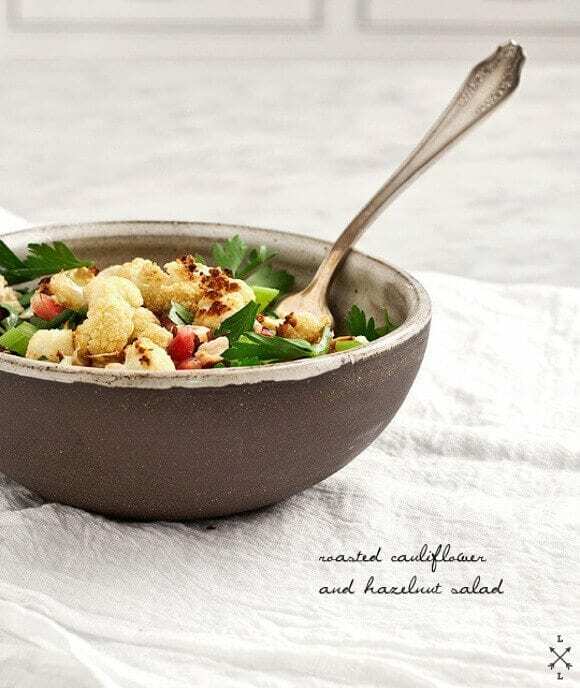 I love roasted cauliflower, and that salad with hazelnuts? Amazing. I’ve bookmarked this recipe to try. I don’t have a copy of Jerusalem yet, but if it’s even half as good as Plenty I know it’s going to be incredible. Thanks for sharing the recipe! I just got the book this week and made another of the cauliflower dishes – the one with tehina and I’m eating the (very few) leftovers as I type this. I read new cookbooks just the was you described – I’ve flagged at least a dozen recipes and now the cookbook sits by my bed for nighttime reading, with a few visits to the kitchen. I was never much of a cauliflower enthusiast but after trying this recipe today things will definitely change. Thanks for posting! I have a new copy of Ottolenghi waiting for me on my coffee table so I think I will sit down to it right away. I’m glad you liked it, this is one of our favorites! This recipe is simply divine- it is a perfect storm of deliciousness. My friend made it for me a few weeks back- we ate the whole bowl. I’ve probably made it six or so times and taken it to a party (also a big hit). It easily will go down in my top ten recipes of 2013! This salad is epic. But, I do have a update that made my Passover Seder a few weeks ago euphoric: substitute the celery with fennel, OMG. Thank you so much for sharing this recipe, and to our culinary sherpa, Ottolenghi. thanks, I’ll try fennel next time… what a great idea! yip – this is going to make the rosh hashana menu. love the idea of fennel vs celery. LOVED this. Just tried it with purple cauliflower. Delicious and gorgeous! I now have three of his cookbooks and love them all. Awesome recipe. I’m so happy I found your blog.